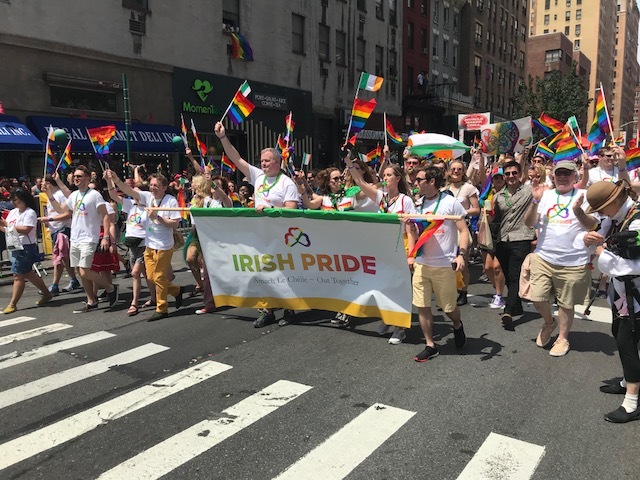 The New York Irish Center was delighted to accept the Consulate’s invitation to join with the Ireland contingent for the Pride Parade. Our participation aligned perfectly with our recent work with the Irish LGBT community here. It was an uplifting day, one to remember for a long time. With recent progressive developments in Ireland, the nation hasn’t just come a long way. You could say instead that the true spirit of Irishness is getting back on track! Read Cahir O'Doherty's article in the Irish Voice.